I had done a bit of research on places open to eat on Christmas Day – very few. However they included the highly-rated Ribadouro which was in walking distance of the hotel. So I walked off towards it to try to make a booking. Wrong! It doesn’t open until 12 but some chefs were lounging at the back door smoking and said if I came about three o’clock I’d get a table. So I went to the wonderfully named Praça de Alegria (Square of Joy) sat on a bench in the sun and planned a tour. I had explored the Baixa area yesterday so today it was the Barrio Alto, now my Portuguese may be negligible but in any language I knew it meant lots of up. I made it up to the Mirador of San Antonio which had a convenient Christmas Market so I was able to have a coffee, a custard tart (OK pastel de nata) and find a bench from which to Skype my son and daughter-in-law post lunch in Hong Kong. We had a good catch up and agreed that Lisbon was a fine city, if hilly. As I looked from the mirador across the city to the Castel de Sao Jorge, I started to wonder if my plan to include that was sensible or even sane. Having made it up to the Barrio Alto there was some up and down but undulating rather than the precipitous gradients I’d conquered earlier – even the tram wheezed a lot. It’s a grid of streets with some residential some commercial and a few of them open today. Relief came when I was able to buy a waiter’s friend (trusty Swiss Army left at home as I had no hold baggage this trip) and had a bottle of wine back at the hotel for later in the day – organic you see, no screw tops! I gradually made my way back down to the riverside in time for a coffee in the trendy Chiado district. There was a good display of old newspapers through the ages in front of the city hall which I admired prior along with a novel festive tree. I then had a flat walk across to the square before the ascent to the castle. A fortifying beer was needed to tackle that, rather spoiled by a persistent multilingual beggar – at least he knew Happy Christmas, Bonne Natale, Frohe Weihnachten and Feliz Navidad to address to various passers by. Oh delight! 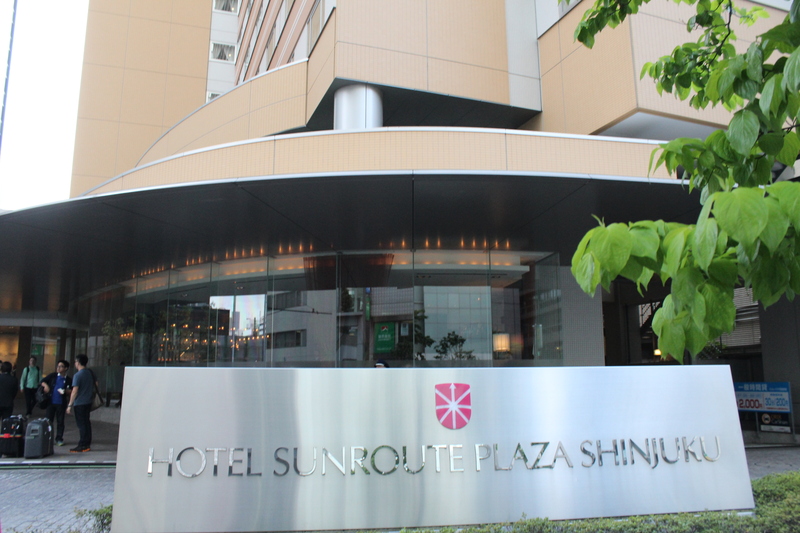 Just past the bar is a beautiful sight – an escalator. It took me two thirds of the climb leaving just the final scramble up to to the gates of the castle to see this notice. I should have checked but thought maybe a castle would be open but if they can charge you for entrance then they’d have had to pay staff today. So I walked around the area, spotting a few stretches of battlements but missing out on the (supposedly) fabulous view across the city – well I had seen it from the other side. The escalator was only up and just as I was contemplating hundreds if not thousands of steps down a small bus appeared which was headed down to the square at the start of the Avenida de Libertad where my lunch would soon await. I was a bit early, not a Raggett characteristic, so I had a beer in a padeleria where pastel de nata were just waiting to go into the oven. So I walked up the opposite side of the avenue to yesterday and then crossed to Ribadouro where they were indeed able to find me a table, right beside a tasty tank full of lobsters. They were a popular choice and the couple at the next table were battling their way through oysters, large prawns and a whole good sized lobster. They were a young Chinese couple, she severely elegant like the casino villainess in any number of dramas, he in scruffy top, joggers and trainers. Oh and have I mentioned that at least one in three of all people on the streets today is Chinese. 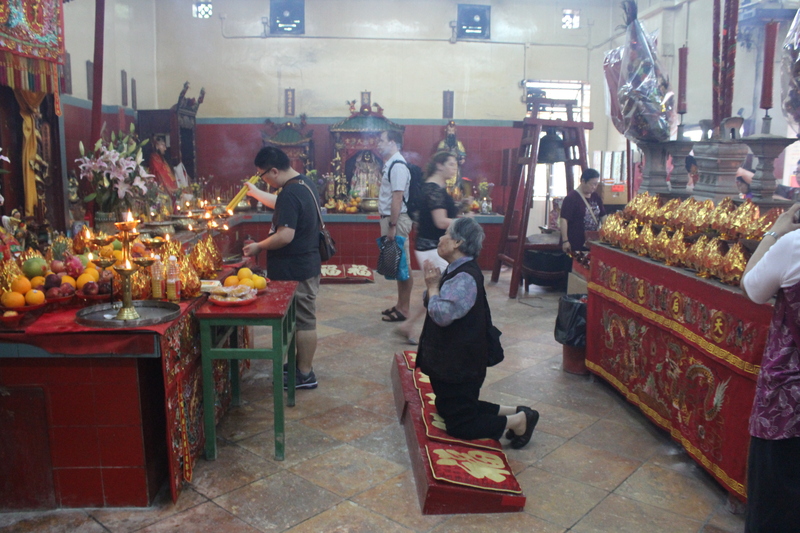 Maybe it’s the Macau connection, maybe just that the Chinese are now the world’s greatest tourists. Anyway I decided that a lobster would be too far I accepted the suggestion of the traditional Lisbon Christmas dish of baked cod loin served with caramelised onions and pink peppercorns. I had read somewhere that many restaurants bring some plates to the table which you could be forgiven for thinking were freebie appetisers but which then get added to the bill. I was quite peckish so a plate of pata negre ham went down very well with a glass or several of a Lisbon white wine called Lasso. I managed most of what looked like a half a cod which was very tasty but an unusual Christmas choice for me. After a coffee, I made my way back up through the busy Winter Wonderland to the hotel to Skype the rest of the family, write a blog, read a book and enjoy some wine thanks to my newly acquired friend. Christmas Day began in tears as I opened the one present I had brought with me – dedicating the name of a star to Dee from my daughter and her family. I shared that on Facebook to a phenomenally large and positive response. After breakfast I skype Tom and Caroline in Hong Kong – more tears but lots of laughter too. Then as the morning progressed it was time to head for St Peter’s Square to see the pope do his Christmas message. The crowd was huge but perhaps not as big as his Easter performance. I did manage to see him through a 300mm lens (600 would have been perfect) and seeing people drop to their knees in prayer and then applaud him like a rock star was quite an experience. I then went back to the metro and went to Spagna to see the Spanish steps and have my first proper coffee – 95 cents for a good shot of strong espresso. Excellent preparation for the day ahead. In my trip schedule I had nothing booked for today and decided to discover Rome on foot. It was after all as I told too many people clear, blue, sunny and 14 degrees. Ideal for a stroll. I made my higgledy piggeldy way to the Tiber and crossed into trendy Trastevere where there are book stalls and bad art lining the river promenade. In many of the tourist hotspots there’s a smell of cellulose in the air as aerosol spray painting seems to be the big thing here. Time for a beer and to read a misdirected email from our friend Erika in Boston who was in my thoughts for the trip as her father Bob who Dee and I got to meet both in the US and London wrote the definitive book about Bernini who not only designed St Peter’s Square but lots of Rome’s most famous fountains and sculptures. About six weeks ago she replied at length to mine but sent it to herself not me. Her knowledge of and love for the city spurred on my feet as I wandered further down the river swapping banks by the huge Castel San Angelo and on down the left bank to the Jewish quarter, through to the Capitoline Hill with the huge Victor Emanuele vanity project (I was told off by the guide the next day – it was not just for him but to commemorate the reunification of Italy – right) which caused great controversy among Romans at the time. It destroyed a whole medieval neighbourhood, took loads of taxpayers money and was derided as ‘the wedding cake ’, ‘the false teeth’ and ‘the typewriter’. The massive equestrian statues confirm it as a vanity project for me. Beyond it I strolled along to get a first sight of the Forum and the Colosseum due for a guided tour tomorrow. This route was along wide boulevard created when Mussolini order a whole medieval neighbourhood to be bulldozed for this prestige route – HS2 sound familiar? Victor Emanuele monument – you decide! My final saunter was the length of the Via Corso which goes straight as a die (Roman roads again!) north to the Piazza del Popolo. One thing I noticed on my walk was the frequent presence of the military with armoured vehicles and gun-toting personal at the entrance to every square. 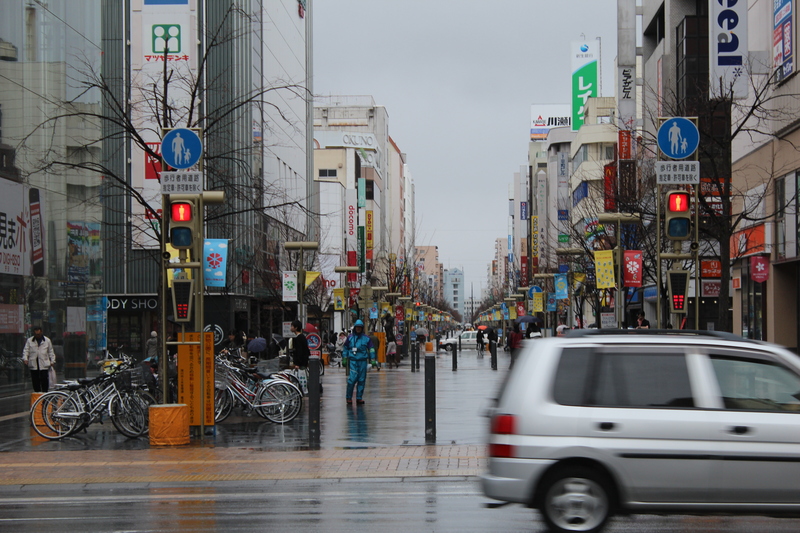 What had been surprising was how many shops were open and how many people were shopping. Christmas Day is not the biggest deal here – or anywhere else really except the UK I suppose. Things were beginning to close up and the metro stopped at 21:00 today so I made my way back to the hotel choosing the correct exit and arriving within the six minutes promised and with no police intervention. I have to say that after eight hours of mostly continuous walking my ancient feet did feel they’d done their time. So to my room for a slightly mad skype with the Addison family up in Manchester for the festivities. The hotel’s main restaurant provided some interesting fruit combinations I hadn’t had before but which worked really well. My starter was smoked salmon served with blueberries and rocket and my main was steak with cantaloupe melon and rosemary potatoes both extremely tasty and helped down with a Sicilian Nero d’Avolo. And so to bed exhausted. out in brash Hong Kong? 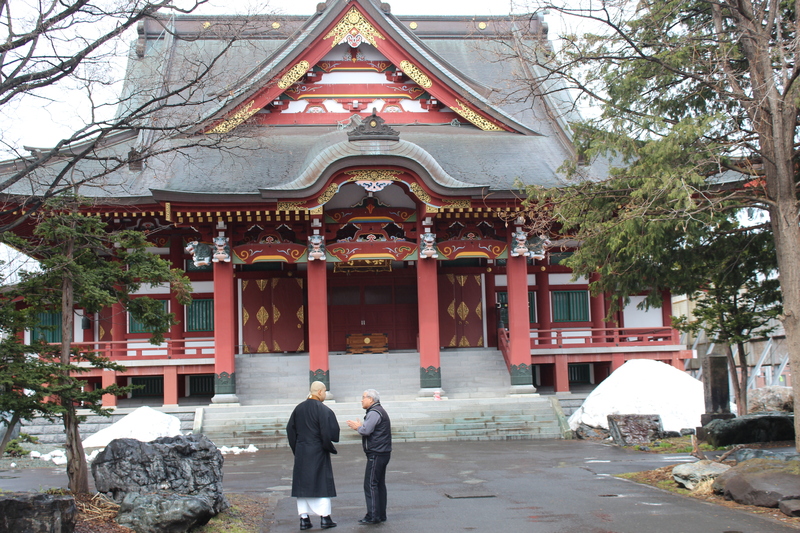 extra photographs and details of some of the highlights of the trip. So after a Thursday to forget (except for home cooked dinner by Tom) we wake up at their amazing apartment on the 27 th floor with views to the harbour on one side and over the whole of the Happy Valley race course and sports area from the living room. I was impressed by Hong Kong thirty years ago. Now most of the buildings I saw have been demolished and replaced by even taller ones. It is a truly phenomenal city in the sky. If you’ve ever played SimCity you’ve been to Hong Kong! 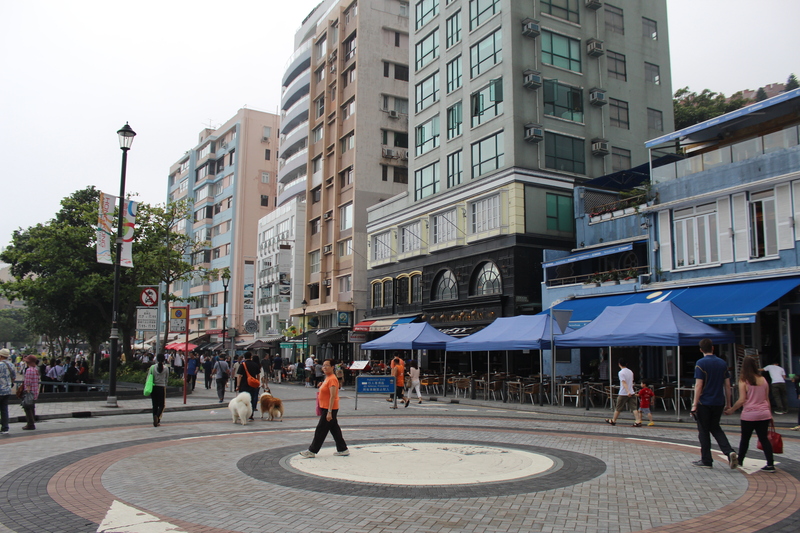 We spent the morning exploring Central – walking through the clammy streets, up the huge travelator that swoops up to the Mid Levels and then through the air conditioned malls and walkways that enable you to survive in the city. 27 degrees and 97% humidity make air conditioning not a luxury but a necessity. And by careful planning you can go most places in comfort. 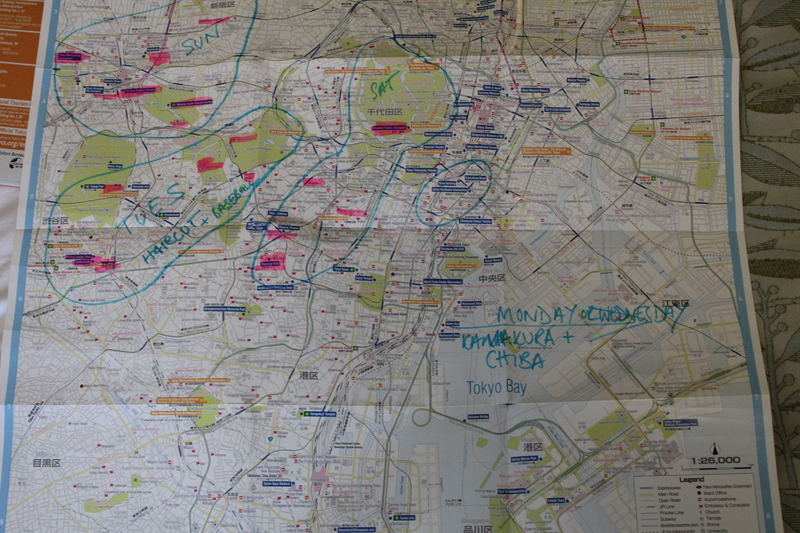 Tom, now a HK veteran of two years has it all sussed so we move through the city cool, calm and collected. 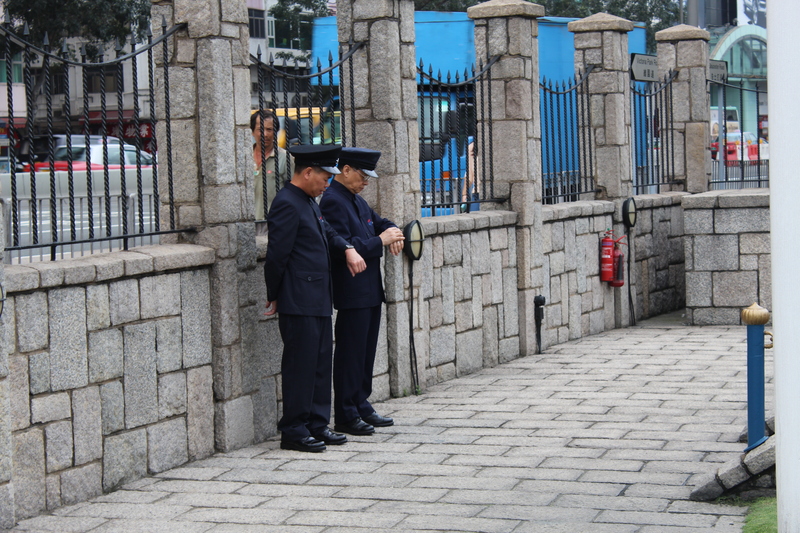 We then make our way back to Causeway Bay to see a Hong Kong institution – the Noonday Gun. 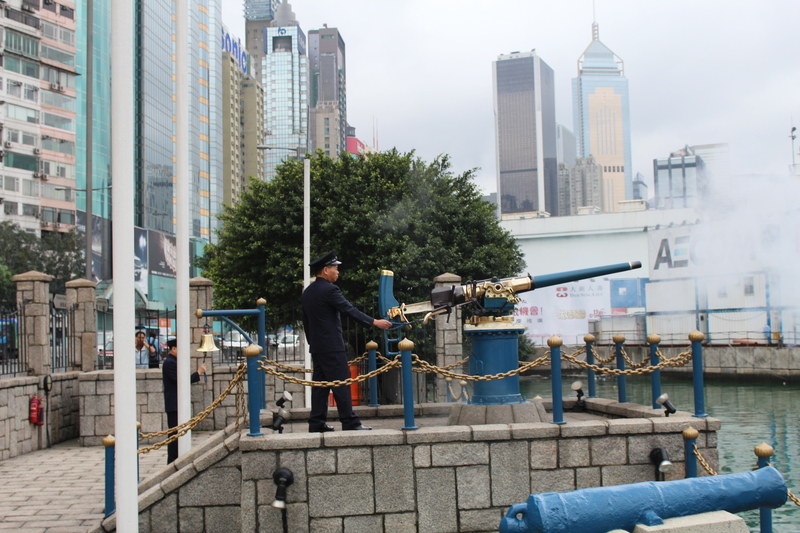 This is a tradition carried out since the 1860s when Jardines, one of the major Hong Kong trading companies was ordered by a British naval officer to fire a one gun salute at noon every day as a punishment for insulting the navy by saluting a civilian. We arrived and took up our positions, watched the gunners carefully check their watches and then jumped like mad when a very loud report and a big puff of smoke issued forth. Even though you know it’s coming, it’s still a real shock. 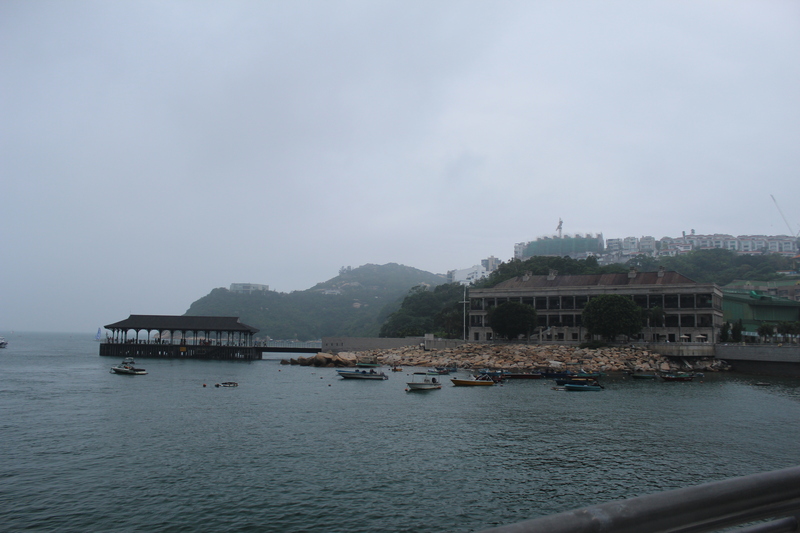 We then walked round to the Royal Hong Kong Yacht Club one of the most sought after memberships in the territory. We are very lucky in that Paul Dalton, a good friend of Tom and Caroline, whom I had met in London, had invited us for a relaxing elegant lunch. Feeling very privileged, we enjoy fabulous views of Victoria Harbour and partake of food from an interestingly mixed buffet and menu which combine British colonial favourites with local specialities. Lunch was unhurried, conversation flowed and ranged over many issues and the whole was presided over with graceful charm by Paul. 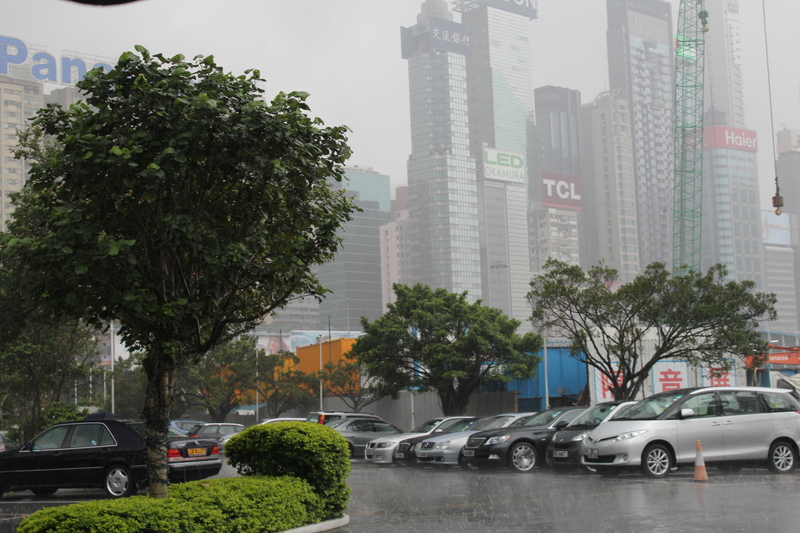 As we left, the famous Hong Kong rain came down, hard and vertical and, as elsewhere in the world, dissolved all trace of taxis from the streets. 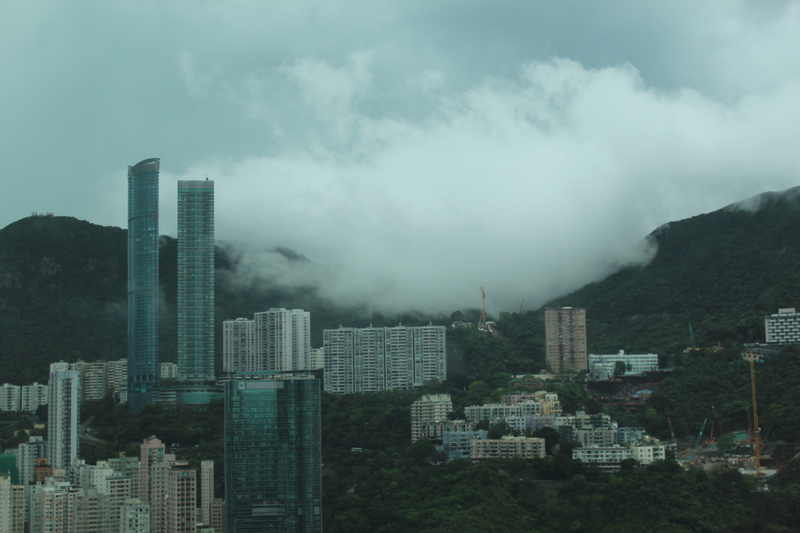 Eventually one parted the curtain and took us away for a little light sightseeing and then back to the apartment for a break which included watching the most incredible clouds pour down over Happy Valley. 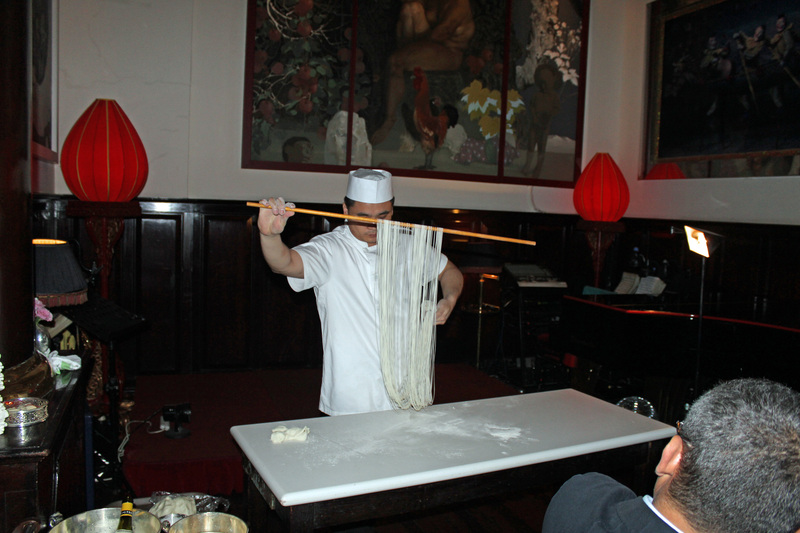 We then changed for the evening which was at an equally interesting venue – the China Club. It appears not to have a working website but has an intro and picture in its sister club’s site for Singapore. 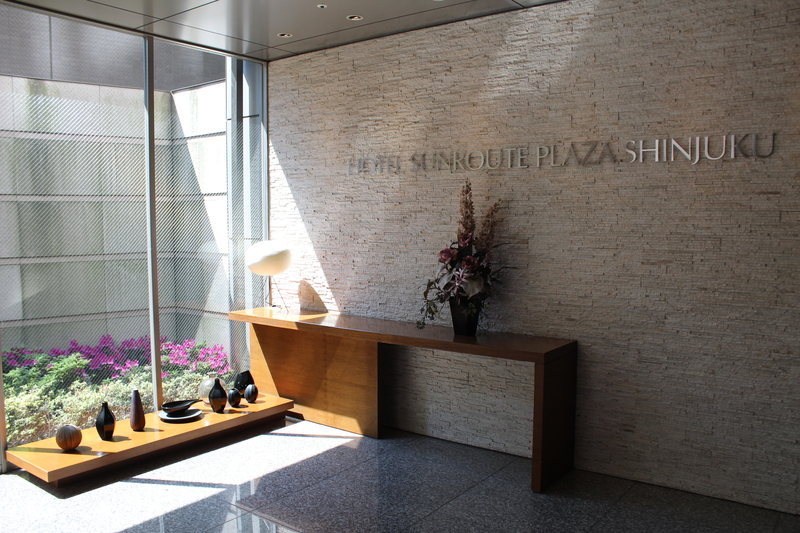 Set in the former headquarters building of the Bank of China it’s a retro eye-opener with stair and landing walls lined with modern art from owner Sir David Tang’s collection – an eclectic taste is displayed. 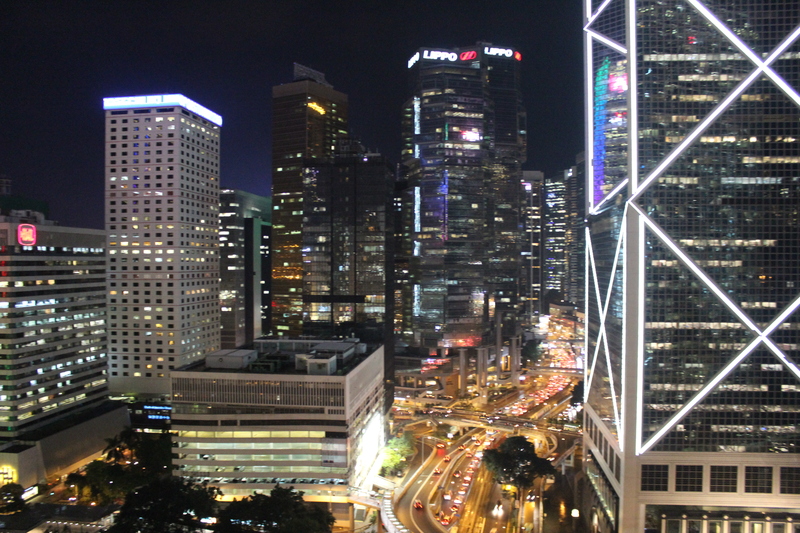 There’s a roof terrace with fabulous views over night time Hong Kong and a vast dining room with superb food and a series of fascinating shows – a torch singer who whispers jazz classics, not always quite in tune but certainly the centre of attention. 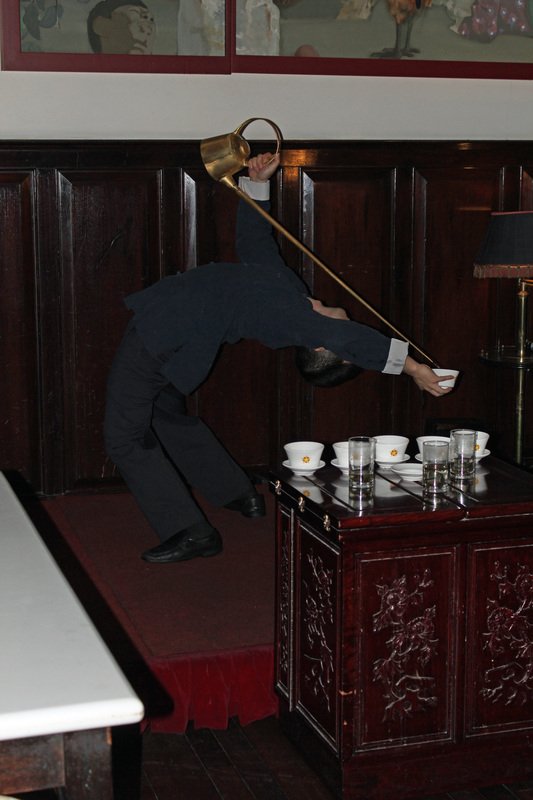 She is followed by two guys – one doing amazing things pouring tea from a very long teapot into cups that he’s juggling while contorting his body; the other makes fine noodles from a massive slab of dough by repeated slapping and pulling. Amazing. 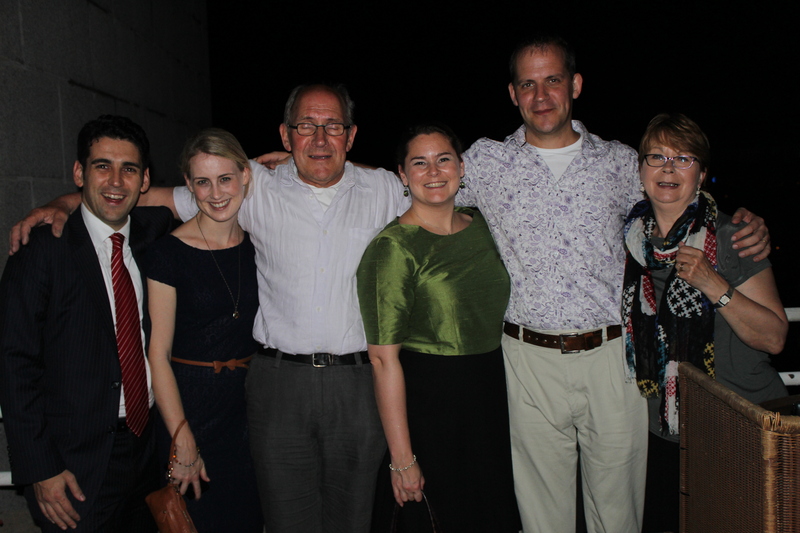 Apart from the club’s entertainment, a highlight was the chance to catch up with Steve and Michelle Resco. Dee and I had worked closely with Steve in helping to establish the Watford Supporters’ Trust ten years ago. It was Steve who engineered our viewing of Watford v Leeds in Roppongi the week before and it was great to catch up with lives lived all over the place since we last spent time together. Home for a nightcap and a lengthy sleep. 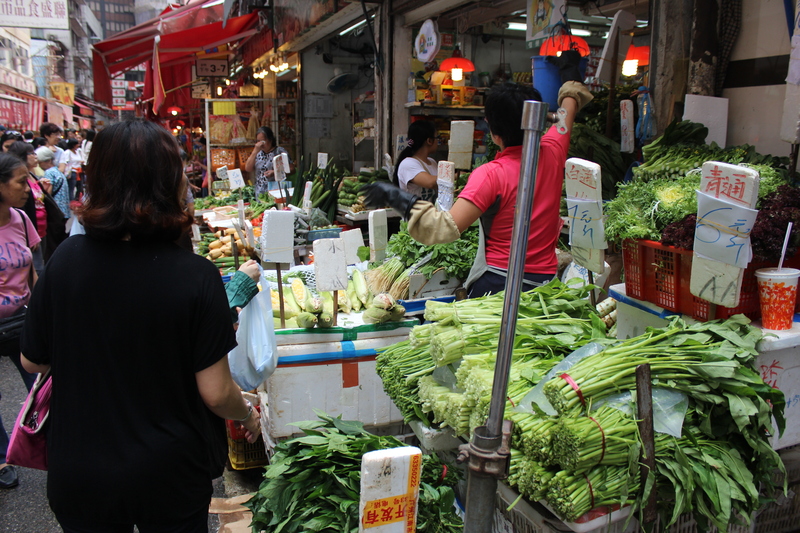 Saturday took us for a wander through the wet markets of Causeway Bay an easy walk down from the apartment. Eyeballs were stretched by the sheer volume of food of every kind being chopped, skinned, sliced and in some cases slaughtered right there on the street. 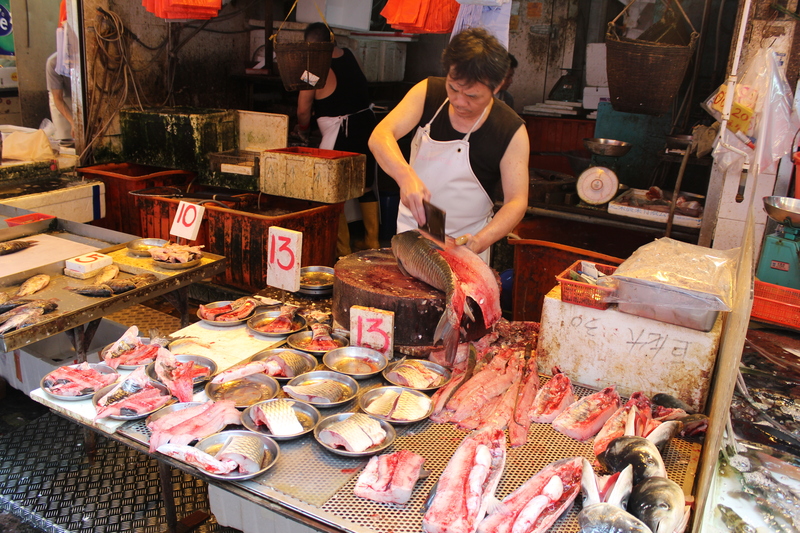 One aspect of Hong Kong eating became abundantly clear – whatever you selected it was amazingly fresh – fish still flopping not frozen – one even jumped off the slab and was retrieved by an unfazed Chinese senior citizen. We walked on to meet up with Caroline who had to go to work in the morning but was able to join us for a splendid lunch at one of their favourite restaurants Din Tai Fung. Of Taiwanese origin, it serves a mixture of dim sum style dumplings, buns and wan ton, excellent dan dan noodles, cucumber with chilli and garlic and the best ever egg fried rice as Tom had promised. 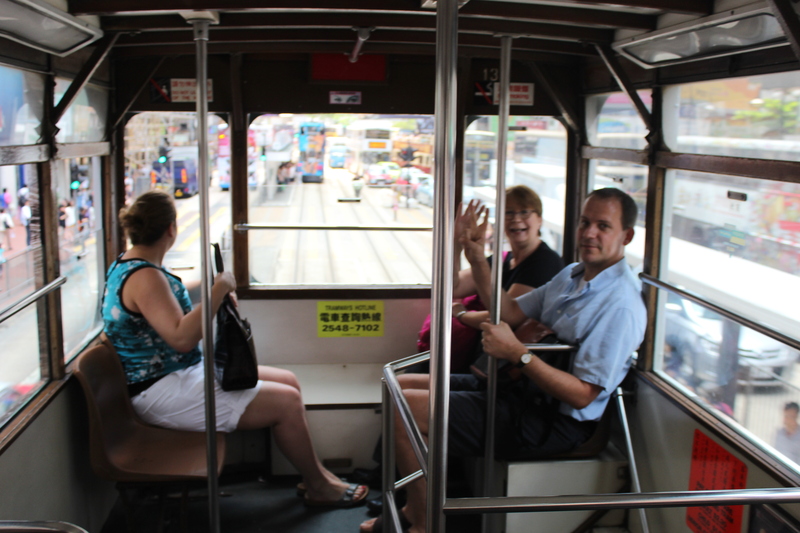 I had loved Hong Kong’s trams thirty years ago so we took a ride along to the Star Ferry. 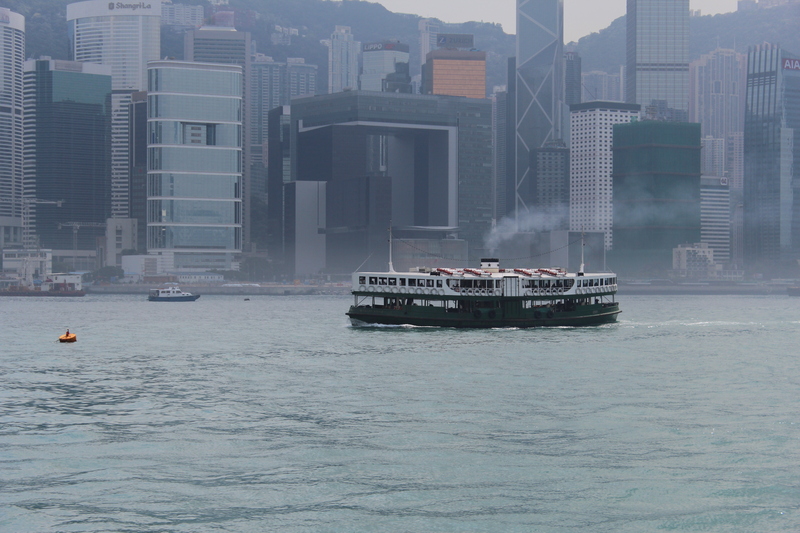 Crossing the harbour on the ferry is an essential part of any visit to Hong Kong and once again it didn’t disappoint. 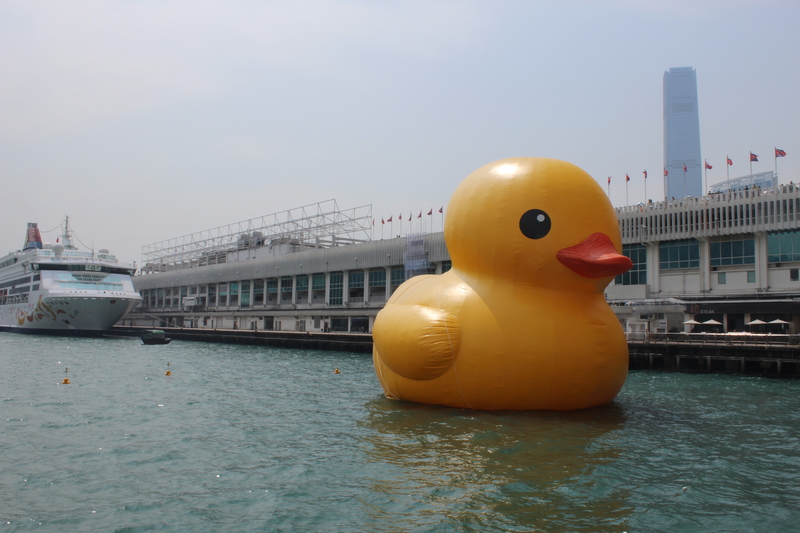 We made the journey across to Kowloon, passing the large inflatable Rubber Duck – Florentijn Hoffman’s installation which has mysteriously deflated since our visit – not guilty m’lud. 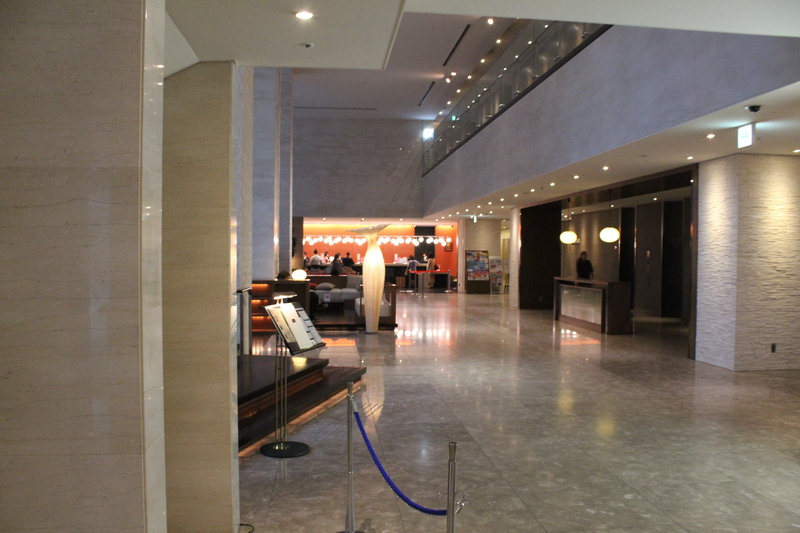 We then make our way to the ICC Tower and go up to the observation deck. Despite a certain murkiness in the distance the views are fabulous and we were reminded that at 484 metres high it’s the tallest building in Hong Kong and the fifth tallest in the world rather dwarfing London’s Shard at 309 metres. 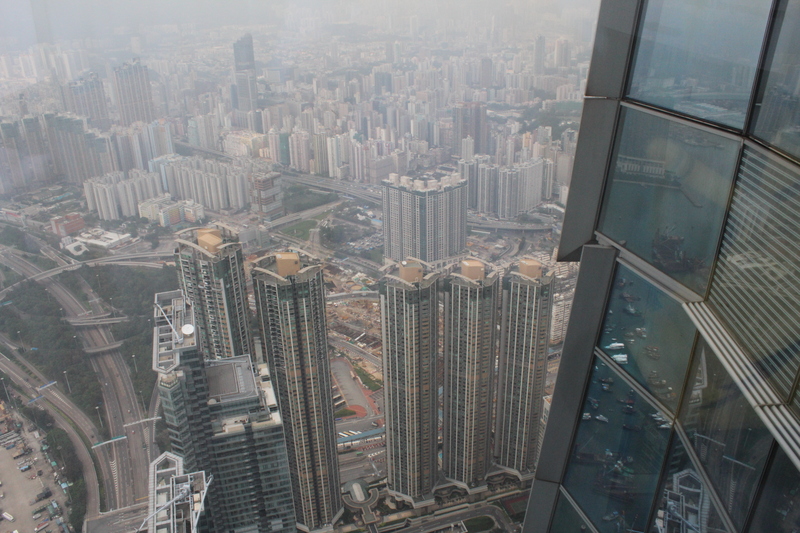 We also look down on one of the most densely populated areas of land in the world. 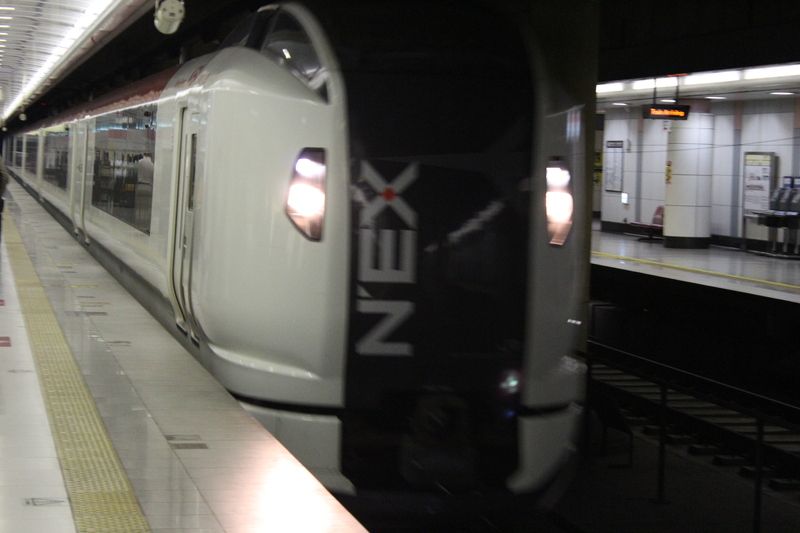 On descending I caught the Airport Express out to Chep Lak Kok to collect my phone, miraculously delivered to Hong Kong from Tokyo through the combined efforts of Japan Rail’s Narita Express, China Eastern Airways and Jardine handling staff in Hong Kong. I sign for it, switch it on and, goodness it works. So I text Tom to tell him I’m homeward bound and he advises the subway and a brief walk when I make it back to Hong Kong island as the traffic is mad and they are not even home yet. The MTR – Hong Kong’s subway – seems very efficient during my brief encounter with it. 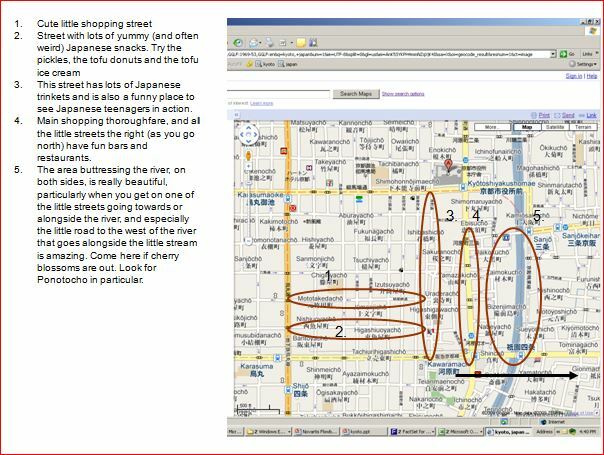 The only problem as in Tokyo, was that you seem to have walked at least far enough to reach your final destination but you’ve just been travelling through a vast underground interchange. My next walk was a little warmer as I followed Tom’s excellent texted directions to get myself from Causeway Bay station back to the Leighton Hill apartment to be rewarded with a cold beer for my efforts. After a brief rest and a change we set off by taxi for another fabulous evening. Tom and Caroline won’t be able to be in the UK in July so very kindly took us for a joint birthday dinner at Spoon, Alain Ducasse’s Michelin starred restaurant at the Intercontinental Hotel back in Kowloon. A brilliant tasting menu with matched wines proved a great choice as course after course arrived with delicious aromas and tastes. The whole occasion was enhanced by our prime window table from which we could watch the nightly Victoria Harbour Light Show. 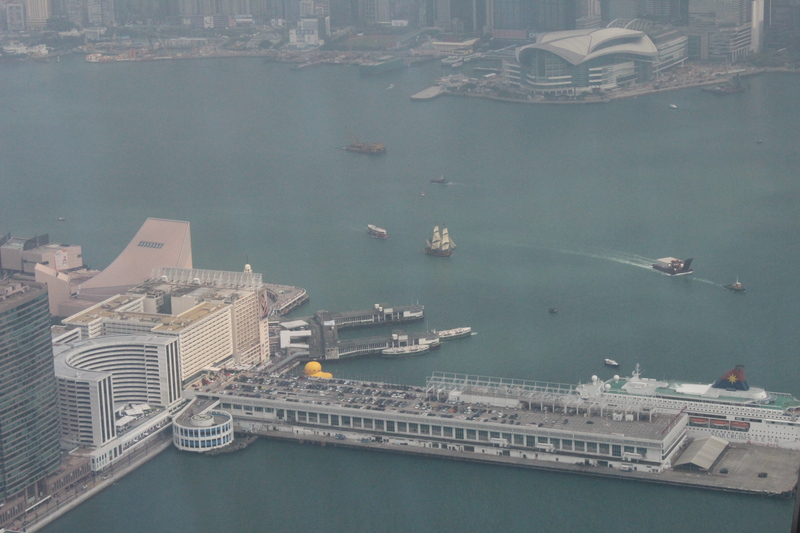 Produced by Hong Kong Tourism it was eagerly anticipated by the crowds below us on the waterfront. The light patterns on individual buildings and the lasers flying between them make it look as if the city is holding a conversation between the huge towers that line the harbour. What a fabulous birthday present! 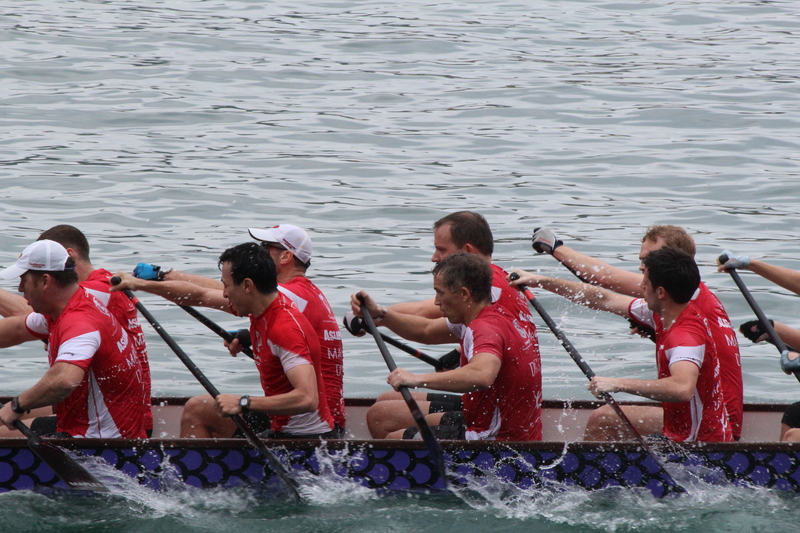 Sunday meant an early rise to go to Deepwater Bay to support Tom and his dragon boat racing team The Seagods. 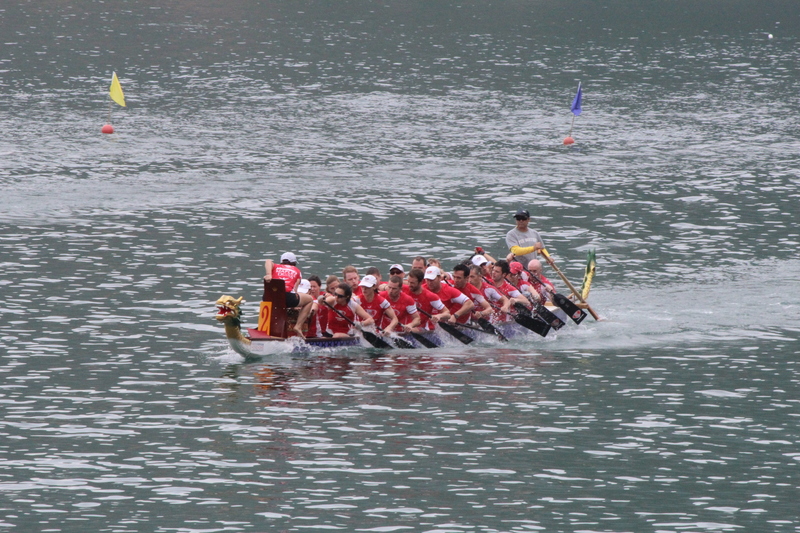 Tom took up dragon boating soon after moving out two years ago and has international medals for his efforts. And what efforts they are! 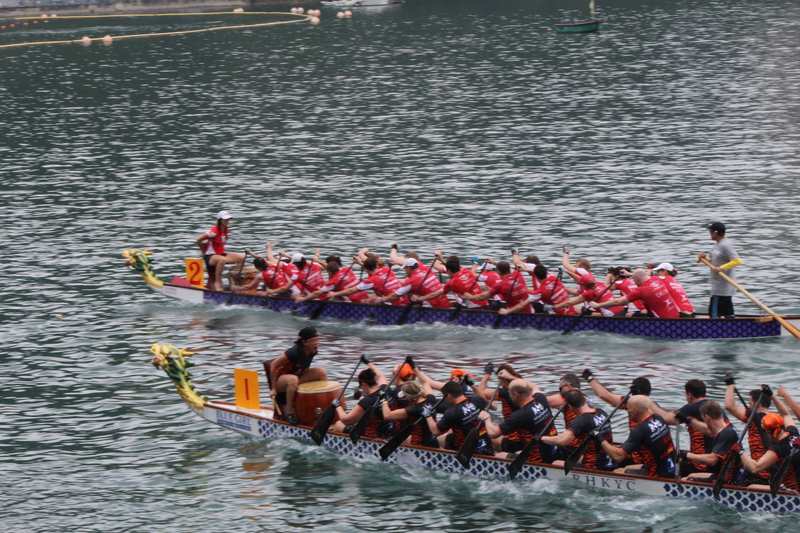 Watching twenty men and women striving to move this great boat through the water from a standing start shows raw energy at work at its best. 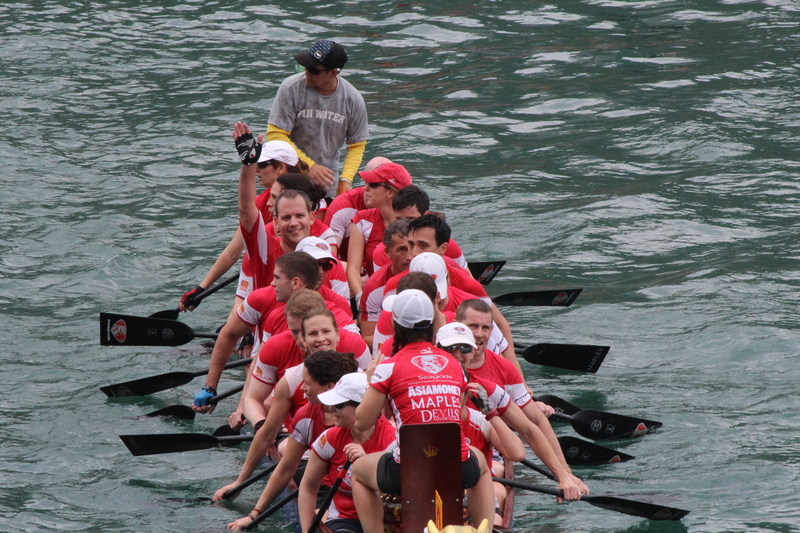 And it pays off as the Seagods comfortably win their first race with the A boat. An hour later Tom again plays a part in bringing the B boat in as runner up in a further heat. 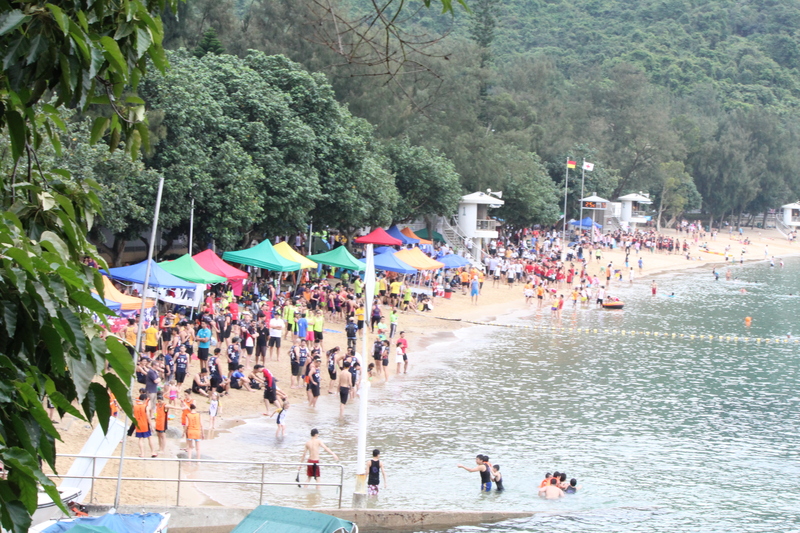 The sight of the beach covered with team tents, paddlers and their supporters is colourful and constantly moving as teams make their way to and from the start and finish pontoon. Tom had made his apologies to the Seagods for only completing two races out of a possible five today in order to take us to explore the island further. We went to Stanley which feels much like Brighton, with narrow-laned markets, a promenade with pubs and restaurants and a pier which was reconstructed here from its original position in Central in 2006 along with the Murray House also originally built in Central in 1844 as Murray Barracks. They fit the landscape well and look as if they might always have been there. We had the opportunity to share a drink with Katie, Tom and Caroline’s friend, who had given us so much good advice for our trip which was great as we were able to thank her in person, not just by email, for her insights. Katie had to go off elsewhere and so couldn’t join us for lunch in Saigon, an excellent Vietnamese restaurant in the Murray Building. 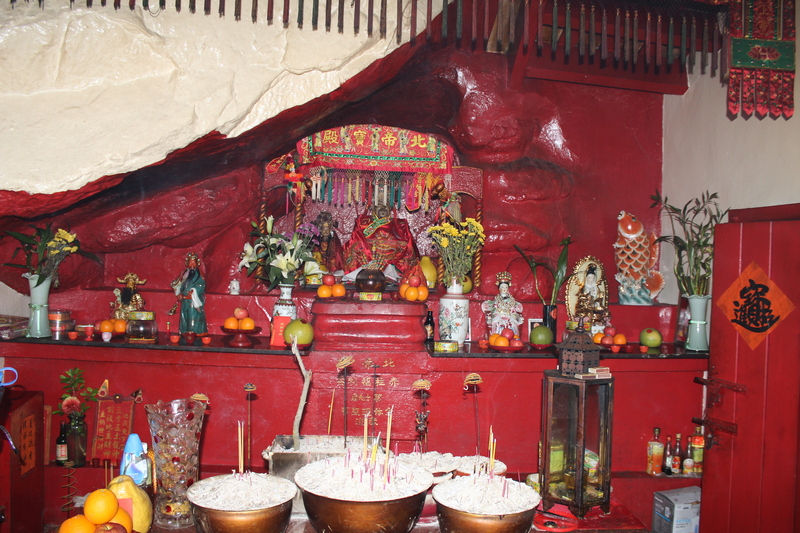 After lunch we wandered around the headland to the Tin Hau Temple commemorating the goddess of the sea. It’s cut into the rock and was obviously a popular pilgrimage destination. 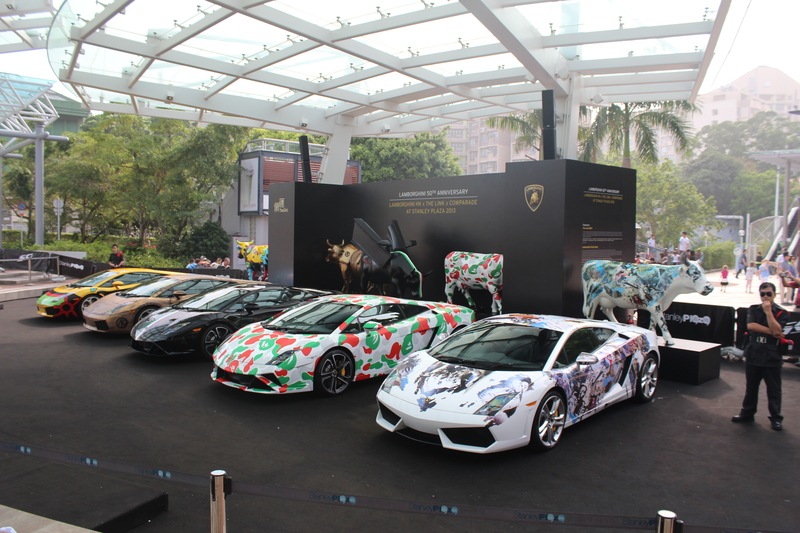 We then returned to the much larger Man Ho Temple on the edge of Stanley Plaza where Lamborghini’s 2013 Cow Parade has raised considerable sums for charity. 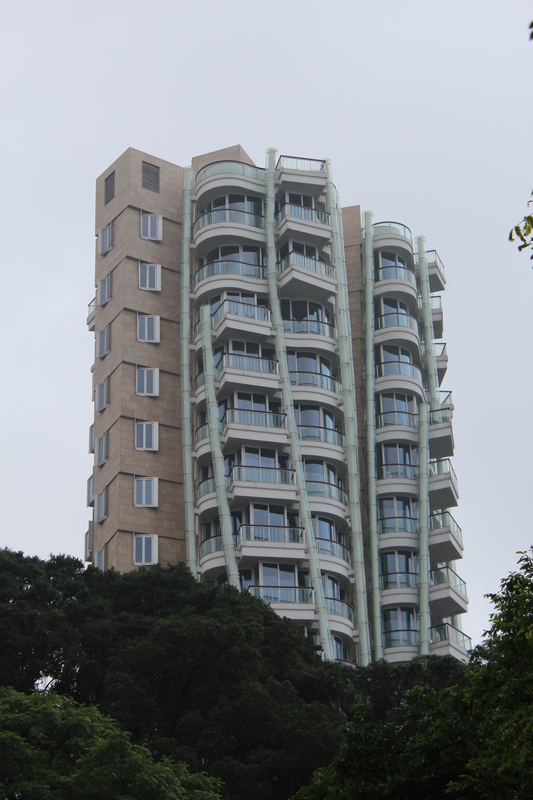 After a great day out by the sea we decided on a simple dinner at home and a serious spell of packing for Dee and myself so we went back to Happy Valley taking in architect Frank Gehry’s first residential project in Asia Opus, a fabulous twisted tower that looks as if it has survived an earthquake. Its lines flow out of the steep hills that characterize Hong Kong island and for those wealthy enough to be inside must provide stunning views. 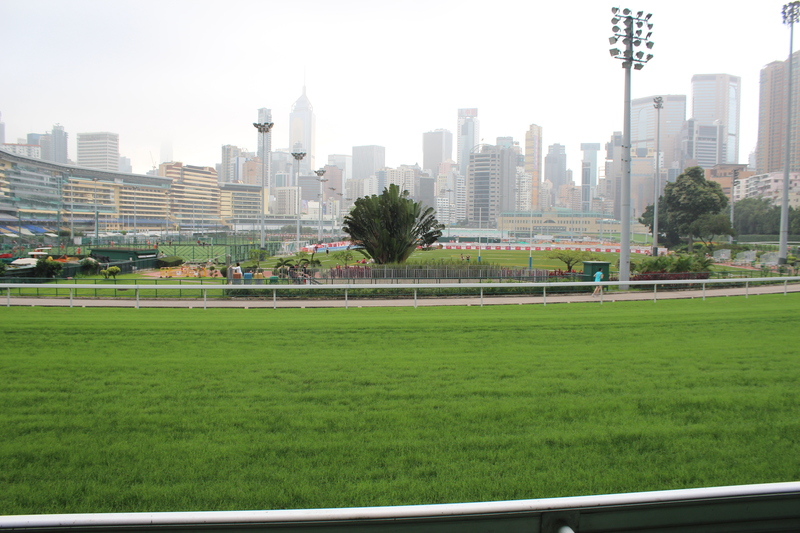 After a trip to the butcher we then walk home through the middle of the Happy Valley racecourse which is busy with sports activity of all kinds. It’s great to spend another evening at home with Tom and Caroline not least because Tom managed to find a website streaming Sky Sports coverage of the second leg of Watford’s play off against Leicester. And what a match that was with what has been termed “the greatest comeback ever in the world of football” with its double penalty save and brilliant counter attack for the winning Watford goal. Having missed out on the end of the season at least we’ll get one more game this season – at Wembley. Come on You Orns! I don’t know what it is with travel days but, as we retired early ahead of a six o’clock taxi departure for the airport, I confidently set the alarm on my newly recovered phone for 05:00. To our horror we are rudely awakened very soon after retiring. We get up, shower quietly and attend to final bits of packing. As I go to make a coffee I notice the kitchen clock blinking 04:20 at me. 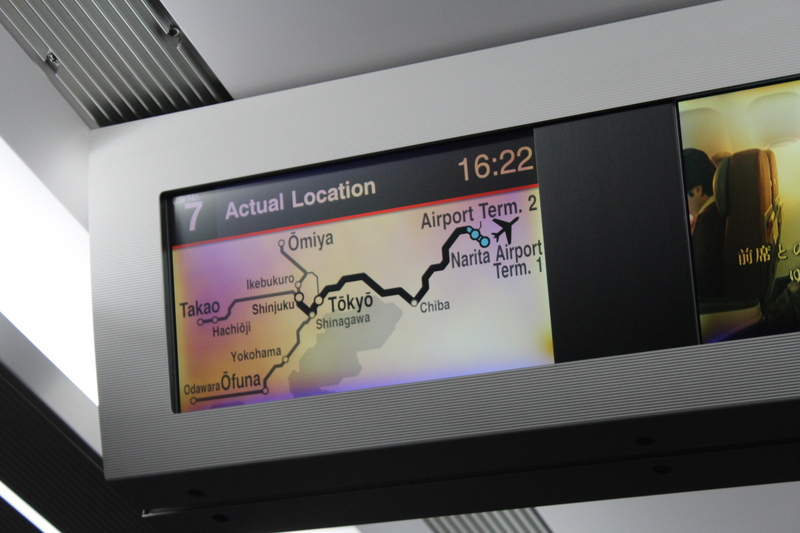 My phone was still on Tokyo time – an hour ahead of Hong Kong. Oops again. 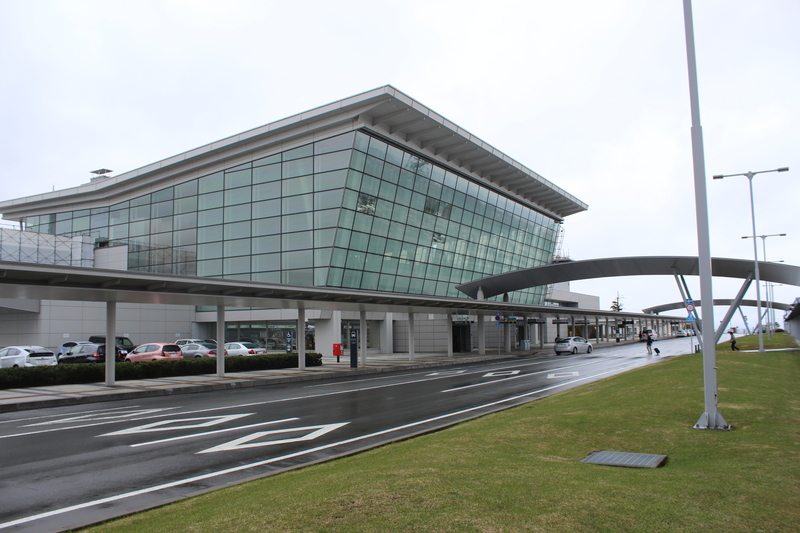 We set off as planned, are seen off by Tom and have excellent flights with Singapore Airlines back to Heathrow. 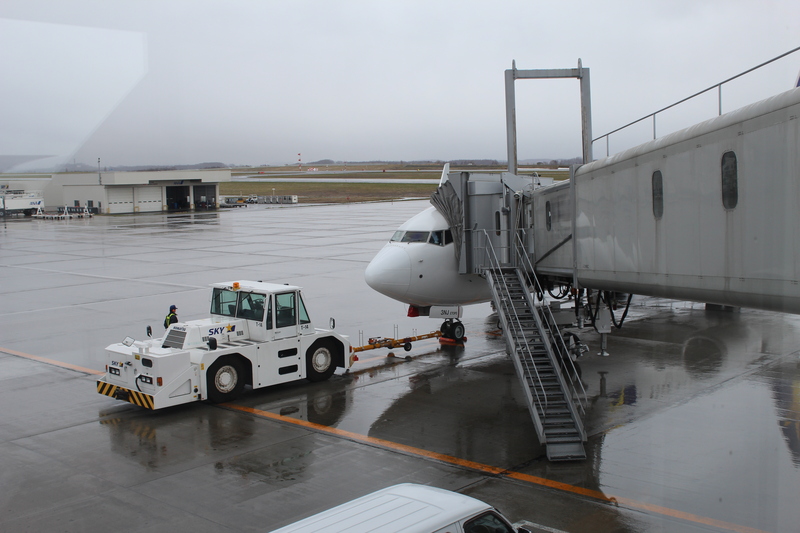 The leg from Singapore to London was on the A380 double-decker plane about which Dee had worked on a documentary a few years back and had actually been in Toulouse for its maiden flight. The upper deck is all business and first class and they wouldn’t even let us go up and peek but never mind. A pre-arranged taxi met us at the airport and whisked us home in time to see that our Wembley opponents will be Crystal Palace, retire and prepare for work the next day. It has been a wonderful month and one we won’t forget with its food, friendship and fascination allied with our quest to find out more about Murakami’s Japan. I think the trip can be called a success. We’ve enjoyed sharing it and getting your reactions and comments.